Moving the start of wash day to Saturday has actually worked out better than I thought. One day I may actually finish it on Saturday but I have been so tired the last few Saturdays that isn't even on my agenda. And today I must have been extra tired because I didn't get out of bed until 11. It could be the knowledge that we're not working tomorrow that helped. I would have been in a panic otherwise because my hair is taking so long to air dry these days. It also gave me time to think about the fact that I haven't done a detailed wash day post in a while. 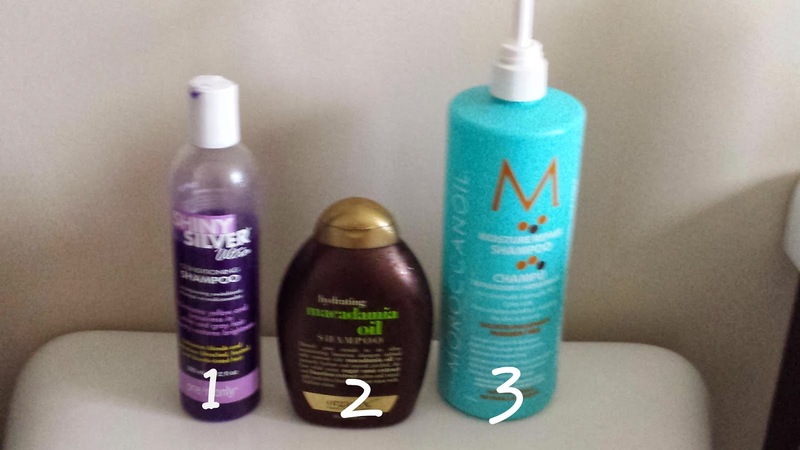 So here goes the products I'm using right now and as many photos as I can add. I will apologize now because some are fuzzy but I took them with my phone and not my camera as I was doing my wash day. 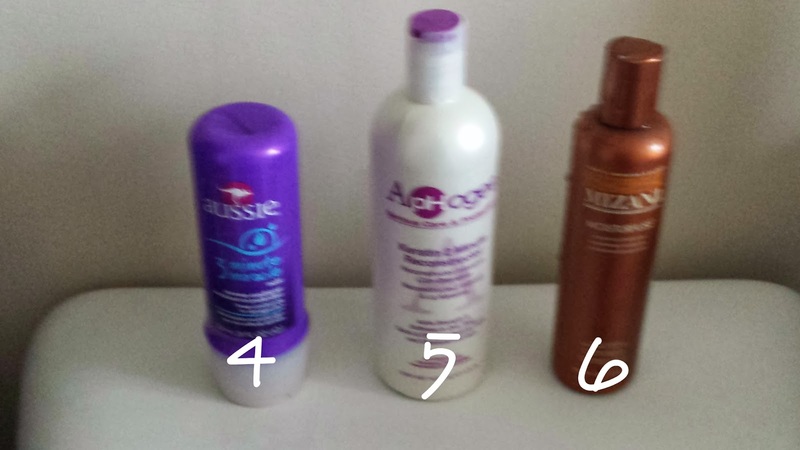 Here are the products I used to prepoo yesterday after I got in from my swim class. I just covered them up with a plastic cap and then my bonnet so I could hold in as much body heat as possible and to not make a mess if I did pass out like last week. 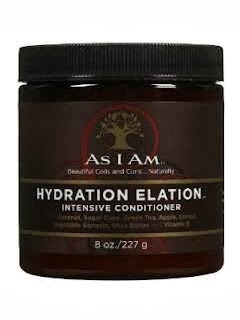 I apply the Strong Roots directly to my scalp and the other to over the length of my hair. When I finally stumbled out of bed I got in the shower and washed my hair in the shower. I will say I was borderline amazed at how nice my hair felt post conditioners considering I skipped the Moroccan Oil conditioner this wash. I had started using the Shiny Silver shampoo to get rid of some yellowing months ago but it tends to work relatively well with stripping the chlorine from my hair as well. I could probably skip the Organix but I have like the combination of it and the Moroccan Oil a lot. 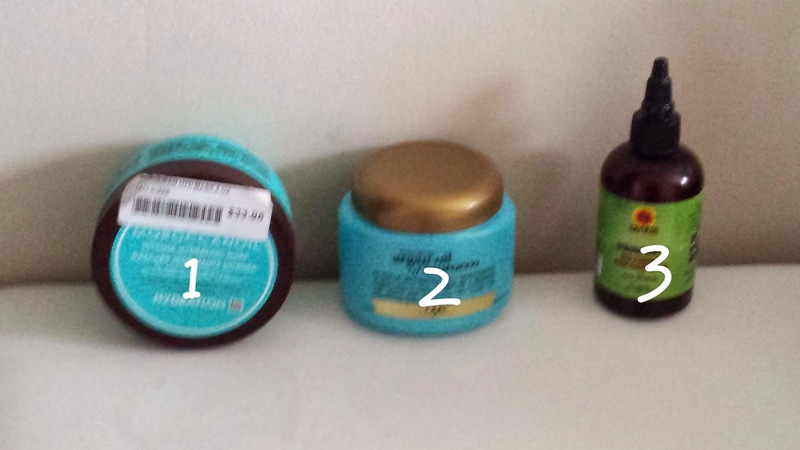 As for conditioners I have a ton to choose from but opted for three without using one of my mainstays. I went instead for the Moisture Fuse to wrap up the conditioning day and my hair felt amazing. I used my regular deep conditioner after t-shirt drying for about an hour and after I washed it out t-shirt dried for about an hour again. And I decided to go ahead and try to LOC in the write order. I can't say how well it will work at this point but it has been done and my hair smells good lol. Here are the products I opted for today. 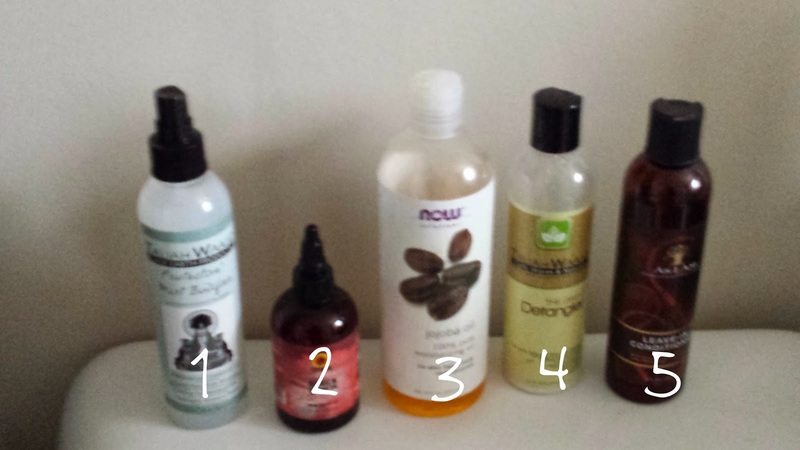 I am sure I look like a beauty supply store at this point but it works to keep my hair healthy and growing. Since there doesn't have to be a trip outside tomorrow I went looking for a new protective style. I am going to attempt a twist out. Well I should I'm twisted as I type this. I checked a few videos out on youtube to feel a little less anxious about it and then curled up the ends on flexirods. That was tied down under a scarf and now my bonnet is securing the whole enterprise. I may stay home the whole day tomorrow to give them time to really set since I rolled them wet. I can do some exercises with my videos or bands. Oh and I have to add a few more photos plus add some more detail. 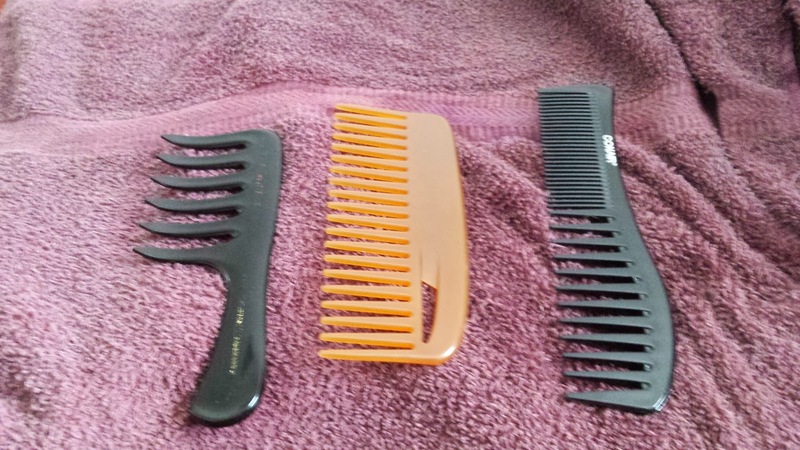 I detangled before I washed and after I deep conditioned with my 3 combs (mini rake, oil infused seamless comb, and what I have been using as my fine comb). Hair loss wasn't nil but it was pretty good for six weeks post. That was pre wash. 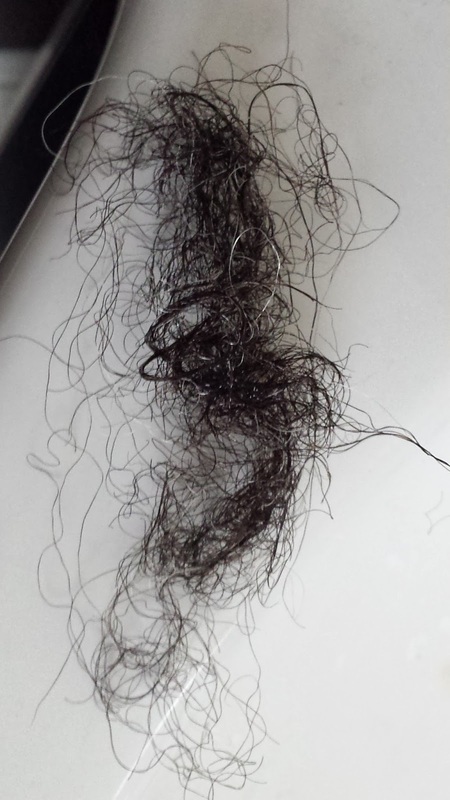 There was really only a few strands post wash. Anyway there you have it, my wash day. I love Organix Argan Oil. That conditioner smells ah-mazing! It really does. If I hadn't been in the pool I wouldn't have worried much about the shampoo because my hair felt good but I had to get the chlorine off.